Burton Smith, a giant in the field of computer architecture, passed away on April 2, 2018. His friends and colleagues remember him both as a special intellect, whose work underlies much of the computing that we use today, and as a special person, whose warmth, humanity, and humility touched thousands of people. Burton’s intellect was awe inspiring. He was an “engineer’s engineer” in the mold of Seymour Cray, having architected several influential high-performance machines. His first breakthrough machine was the Denelcor Heterogeneous Element Processor (HEP) machine. The HEP invented a number of new concepts, such as the use of aggressive multithreading to hide memory latency, and full-empty bits on memory to permit efficient synchronization. The multithreading techniques were the foundation on which today’s aggressively multithreaded architectures, such as GPUs, are built. After building his revolutionary machine at Denelcor, Burton founded the Tera Computer Company in 1987 with James Rottsolk. He was lead architect on Tera’s MTA machine, a supercomputer with no data caches that switched threads on every cycle to tolerate memory latency, which at the time was a new and radical concept. In 2000, the company acquired the Cray Research division of Silicon Graphics, and renamed itself Cray, Inc. Burton served as the company’s chief scientist and a member of the board from founding until his departure. In 2005, Microsoft hired him as a Technical Fellow, to help the company navigate the transition to the age of parallel computing and multicore chips. That transition required significant changes to Microsoft’s legacy systems. Many of those changes happened transparently behind the scenes thanks to the tireless efforts of Burton (and many others). Burton’s deep expertise in parallel communication and synchronization was of enormous importance and benefit to Microsoft during this transition. After his work on Microsoft’s multicore systems, Burton took on a new role as one of the leaders of Microsoft’s quantum computing program. In that role, he made many key contributions in areas from cryogenic infrastructure to quantum physics, while pursuing the audacious goal of achieving topological quantum computing using Majorana fermions. His technical breadth allowed him to work side-by-side with quantum physicists one day and turn to the mechanical engineering for a cryogenic tank the next. Burton’s achievements were powered by a prodigious intellect that had mastery of many eras. Burton could happily dive into physics, electrical engineering, computer architecture, algorithms, mathematics, operating systems, and programming language design at a formidable level of depth. He was as comfortable discussing the physics of Cooper Pairs as he was at articulating the right synchronization mechanism for a heterogeneous computing implementation. Despite his fame as a scientist and computer architect, and despite his extraordinary technical depth, Burton remained warm, accessible, and humble throughout his life. He provided sage advice and mentoring to many junior researchers and computer architects. Despite the demands of his technical leadership position, he would regularly show up at pub nights for the local computer architecture community to engage in spirited discussions with newer members of the community. Burton was still quite active at the time of his passing. In addition to his quantum work, he had been thinking about new dataflow-based CPU architectures. He and I had planned to do a deep dive at some point to compare approaches, but we never got around to it, which I now deeply regret. Burton had also invented a mathematical formulation for multi-dimensional resource management (e.g. OS-based cache, memory, and power management in multi-task systems) leveraging convex optimization. This approach led to much more principled and rigorous resource management given well-formulated objectives. I think this idea was too radical for its time, but Burton never gave up on this idea, and kept pushing it in the background. I’m hopeful that one day we’ll see this concept come to fruition. Burton made massive contributions to the field of computer architecture that changed it profoundly. His warmth touched many of us, and serves as an example of a successful life lived with generosity of spirit. Every time I use full/empty bits in a design, I will think of him. Burton, thank you for your contributions, your teachings, and your friendship. Burton is survived by his two daughters. Below are some words from a few individuals touched by Burton, please feel free to post other remembrances or stories about Burton in the comments section. Sarita Adve: I did not share an employer with Burton. We did not co-author papers. He was not a close personal friend. But my eyes tear up as I write. I met Burton at my first conference at ISCA 1990 in Seattle. He was the keynote speaker. I was a junior graduate student giving my first talk. He would mention my talk and paper to me many times over the years. I next met him at ISCA 1991. He had just won the Eckert Mauchly award. He was the chair of my session. I had practiced my talk a million times. I thought I delivered it well. But nobody asked a question. Burton must have seen my face. He came later and said – “You gave such a clear talk. Nobody had any questions.” Many years later, MSR tried to recruit me. I wasn’t sure why. Burton explained to me. I didn’t end up applying but there was Burton again boosting my confidence and moving me forward. Intel and Microsoft jointly funded UPCRC at Illinois. Burton would visit often. Always engaged. Always supportive. Gently shaping the trajectory of our work. He was a technical giant. An amazing human being. Burton, I will miss discussing memory models, DeNovo, determinism, functional programming, random number generators, resource management, and much more. I will miss the twinkle in your eye, your smile, and most of all, your warmth. Rest in peace, Burton. 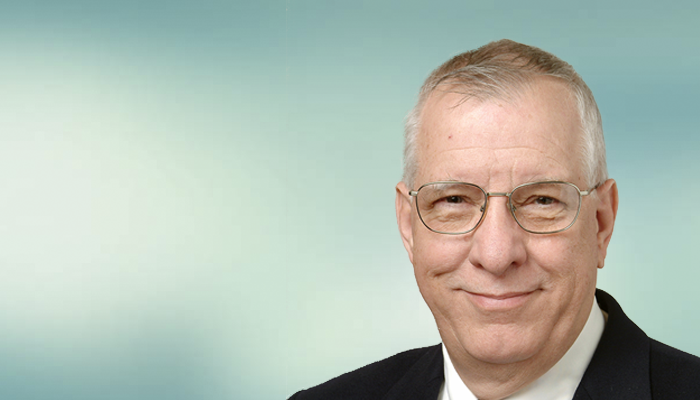 Bill Dally: I am deeply saddened by the passing of Burton Smith. Burton was one of the great computer architects and was a pioneer in parallel computing. He was the architect for the Denelcor HEP, introduced in 1982, that pioneered many innovations in parallel computing. It was one of the first machines to use multithreading to hide memory latency – a practice now commonplace in modern GPUs. It also had an innovative interconnection network that employed deflection or “hot potato” routing. I first met Burton in the late 1980s and had many interactions with him over a 30-year period on government advisory panels, and at HPC functions. I worked closely with him on Cray’s DARPA HPCS project, and I regarded him as one of my mentors. Burton was very thoughtful and had a deep knowledge of computing. I learned something new every time I talked to Burton . He pushed the limits in the design of his machines, particularly with the HEP and the MTA, adding to our understanding of architecture in the process. The world is a less interesting place with his passing. Mary Jane Irwin: I first met Burton at an early ICPP (International Conference on Parallel Processing) conference, I think it was the 1982 conference. Burton was there to talk about his new machine, the Denelcor HEP (which was a fine-grain, multi-threaded architecture long before that term even existed). Later, we crossed paths often at ISCAs and Supercomputing Conferences. At SC’91, I had the honor of getting to tell Burton that he had won the 1991 Eckert-Mauchly Award. I remember tears in his eyes he was so honored – and, surprisingly to me, surprised. Burton and I even worked in the same facility for six months in 1986 – the Supercomputing Research Center (now titled IDA’s Center for Computer Science) in Bowie, Maryland – where I spent a sabbatical and Burton was a research scientist developing the architecture for his new machine, then code-named the Horizon. We were the only two architects at SRC and Burton’s working style was one of bouncing ideas off of his colleagues and, lucky for me, I was the only game in town! It was an amazing experience for me; I learned so much, and hope Burton benefitted as well even if only by getting to work through his ideas with a colleague. Through the chats we had at SRC, I also learned that Burton was not only an amazing computer architect (which I already knew), but also an expert in the technologies of the day and the promise, in terms of architectural innovations, of those soon to come, in what design tools would need to be developed for these new architectures/technologies, and in what new system software would be needed.The word that best describes Burton to me is “visionary.” He had a unique talent for anticipating the impact of future technologies on future computer architectures. He had a long track record of successes demonstrating this talent, at least in terms of architecture impact if not in market share, from the HEP, to the Horizon, to Cray’s Tera. And I’m sure this string of successes will last one more cycle through the continuing efforts of his colleagues at Microsoft in quantum computing. I have long counted Burton as a friend, a mentor, a technical role model, and a voice of reason on the various NAE and conference program committees on which we both served. Burton, you will be greatly missed. Leah Jamieson: From teaching classes at MIT to shaping the fields of computer architecture and high-performance computing, Burton brought an infectious enthusiasm that simply made you glad you knew him. He was a brilliant computer scientist and engineer, but above all he was a wonderful, inspiring person. He will be missed. Steve Scott: It was with great sadness that I heard of Burton’s passing. Burton had an unquenchable curiosity and love for learning. From history, to culture, to business, to all manner of technology, he had a surprising depth of knowledge. I first met Burton at an interconnect workshop, while I was fresh out of grad school working on the network for the Cray T3E and he was working on the network for the Tera MTA. What a great experience; I still remember the conversations with him at that workshop. Later when Tera bought the Cray business from SGI forming Cray Inc. I had the pleasure of working with Burton on a variety of projects for several years. He had an especially deep understanding of concurrency and synchronization, and how they applied to high performance computing. Burton was at home talking about applications, languages, runtimes, operating systems, processor and network architecture, and hardware technology. He would occasionally head off in directions that were intellectually interesting, without worrying so much about practicality, but he was wicked smart, loved solving problems, and taught all of us around him a lot. He’ll be sorely missed. About the Author: Doug Burger leads a team in Microsoft Research focused on disruptive new platforms and new computer architectures. From 2010-2015 he and Burton were both leads in Microsoft Researcher’s eXtreme Computing Group (XCG).